Home » Slider » Are you addicted to drinking coffee? Are you addicted to drinking coffee? Most of the people are used to start their morning with a cup of coffee and they are really addicted to coffee.They can not do anything without drinking that cup. They can even be awake.They can not wake up and start their work. Drinking your coffee without exaggrating it, keeps you awake, concentrated and fit. The question is “Is coffee drinking harmful?”. And the answer is unfortunately yes. Because if you drink too much coffee, your heart starts to beat in an uncontrolled way, you are tense and angry. And to much coffee effects your sleep. If you can not sleep enough your performance will decrease. Coffee also causes cellulites especially on women’s legs. So you should avoid drinking too much coffee.You should be careful about how much coffee you drink. 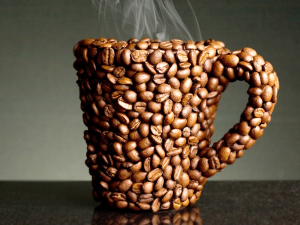 You should limitate your coffee drinking on 2 or 3 cups a day. If you drink more than 3 cups daily, coffee will be harmful for your heart,your blood pressure and your blood circulation.Research have shown that you should prefer tea instead of coffee because coffee is more stimulating than tea.Tea is a more relaxing drink.Especially herbal teas are the best recepies for your health both for physical condition and mental health. If you can not give up coffee drinking you should avoid drinking too much and be careful about the hours,that you are drinking coffee. First of all you should avoid drinking coffee at night and be careful about the hours.